DESIGNED FOR SPEED. BUILT FOR BATTLE. 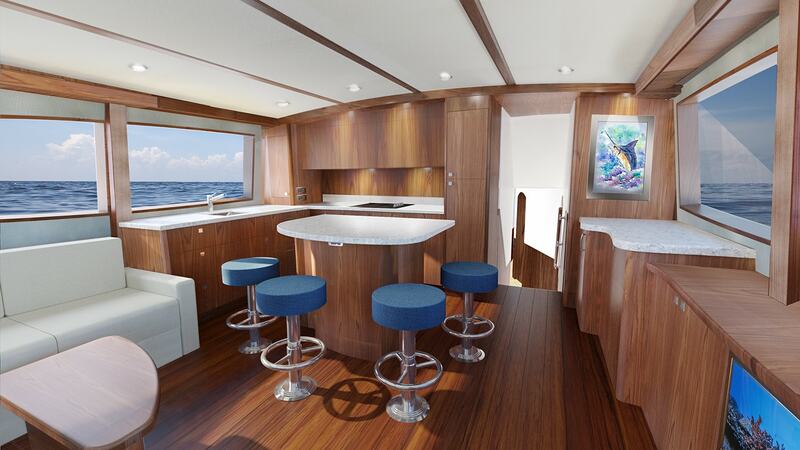 Hatteras has conceived the all-new GT59 with an acute understanding of tournament life in mind. 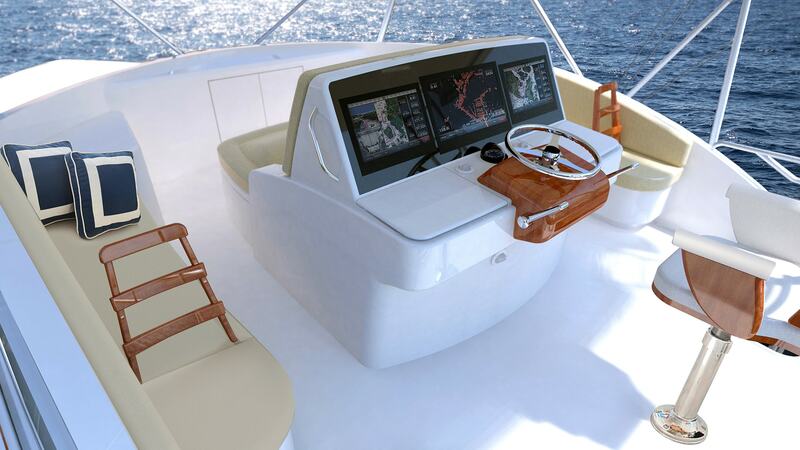 The design team for this sleek convertible has brought together 40+ knot top-end speed, outstanding seakeeping ability and the most comfortable ride in its class. The GT59 comes tournament-ready with integrated rigging and storage bow to stern. 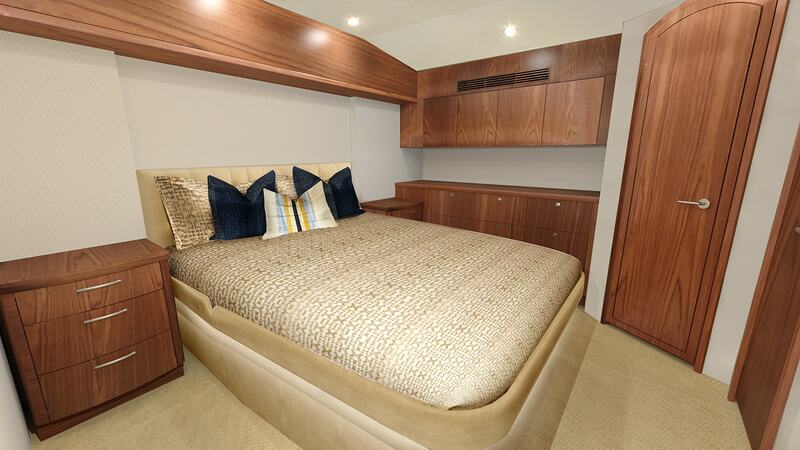 It’s also built to wow inside, with a remarkable spacious 3-stateroom / 2-head arrangement or choice of optional tackle center or third head. Accomplished anglers know that “getting there” is at the heart of the offshore adventure. 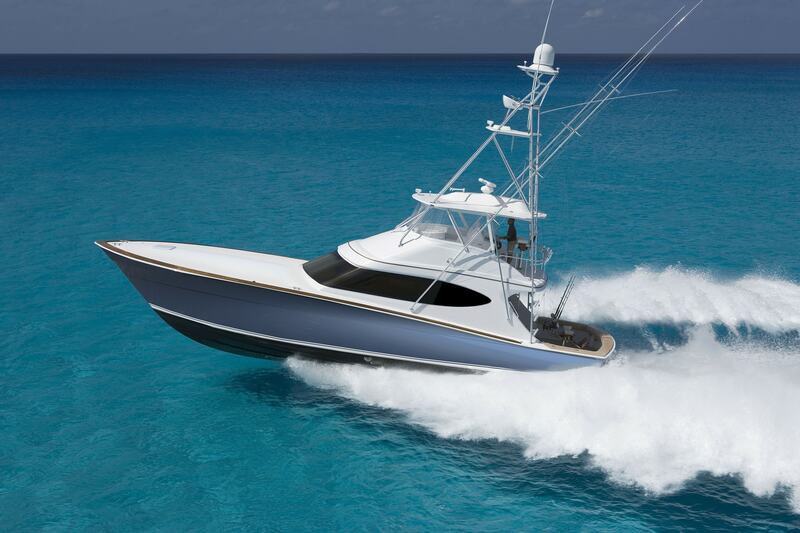 That’s what makes the lineup of Hatteras sportfish convertibles stand apart. The legendary Hatteras performance instills a confidence that the open-water experience will always be a good one. Week in. Week out. Whether the mission is prize money or pride. These convertibles are engineered to thrive at 40+ knot speeds in not just glassy conditions, but also in the kind of serious chop that makes other boats reluctant to venture out at all. Our confidence comes from our own on-the-water experience. For nearly 60 years, Hatteras engineering teams have been advancing the perfect formula of weight, speed and hull design. Captains and crews feel the difference every time a Hatteras leaves the harbor. It’s the kind of difference that transcends the freedom to pursue a personal-best catch. It means charting your own course — with the ability to take higher seas at higher speeds. And that kind of confidence is worth its weight in billfish.